To get your Free Special Report: The 3 Biggest Psychological Triggers That Can Make Or Break A Trader, just fill in your name, primary email address below, and click "Send 3 Biggest Psychological Triggers!" How to be a more successful trader regardless of the market condition. Click here to get started and create the trading success that you know you can have. Being a global macro proprietary trader seeking to discover alpha in a 24-hour market necessitates sharp instincts, calm confidence, and steadfast objectivity. Nazy's Platinum Private Mentor Program ensures not only accountability in accomplishing my investment goals, but a balanced lifestyle that transcends trading. With Nazy's guidance, I have not only achieved record personal profits since working with her, but have seen all aspects of my life flourish. I live an adventurous bi-coastal lifestyle with a beautiful home in Las Vegas and a spacious Manhattan apartment I regularly speak at institutional conferences, presenting on behalf of market exchanges like CME Group and Eurex. 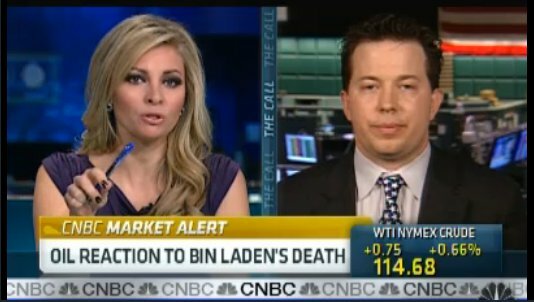 I appear on major financial news television stations such as Bloomberg and CNBC, and now co-host a national radio show. Nazy has the innate ability to focus me, ease my stress, hold me accountable, and most importantly keep me humble. 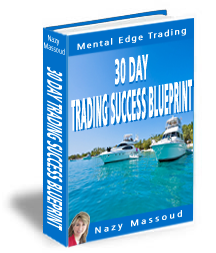 Quite simply... Nazy Massoud is the gold standard of trading coaches. Nazy’s holding my hand resulted in my gaining millions of dollars. To say that Nazy “coaches” is an understatement! There is no one who does what she does! She is second to none! I asked Nazy for "help" – what she gave me was over 1000%: holding my hand resulted in my gaining millions of dollars. I could never have done this without a person who possesses the skills, discipline, AND care of Nazy. She has the uncanny ability to hear what you really need as opposed to merely responding to what you ask for. With these kinds of margins, I would be foolish to not seek Nazy's help. She's unbelievable! You have to try it for yourself to know what I'm talking about. Wall Street trading is probably one of the most stressful occupations. It’s definitely not for the faint of heart. Your days are hectic and filled with stress. You have massive amounts of information coming at you all at once demanding that you make financially accurate decisions with rapid speed! While many are thriving in this high pressure environment, privately many traders have revealed the real toll that this kind of stress is having on their lives. You start your day scanning through the Wall Street Journal, Financial Times and at least one or two other publications trying to make sure you don’t miss any major announcements about any of the companies whose stock you might be trading that day. All day long, news sound bites and updates from CNBC, Reuters and Bloomberg are piercing your ears – all the while you’re watching your monitor and trying to make decisions involving thousands of dollars and potentially the livelihood of you and your family. You’re scrambling to make the best decision you can with whatever information you have… Buy? Sell? Buy? Sell? Hold? Buy? Sell? All with the speed of a runaway train! So what’s the difference between really successful traders who regularly make a lot of money and enjoy what they do and those who barely make a profit and seem miserable doing it? That’s it! The way you think and use the information you already have, the way you make quick financial decisions – that’s the Mental Edge required to make a killing in the trading business – and still enjoy life! Developing a WINNING Trading Mindset is the most underrated component of your success! Here at Mental Edge Trading, this is our speciality. How to cut your losses faster and let your winners run longer using a simple yet powerful formula resulting in a money-making, winning mindset! How to make better decisions faster after you discover one quick and simple exercise revealing your personal psychological makeup. You’ll instantly understand which specific trading models you should be focusing on to make a fortune! How to recognize your “trading personality” so you can build on your strengths, overcome your weaknesses and join the ranks of super traders. How to experience the amazing freedom that results from understanding how your current mindset was formed and the step-by-step methods you can use to change them - no matter how deep-rooted they are. How to confidently pull the trigger and win. Discover dozens of tricks to boost your confidence and enable you to make substantial amounts of money. How to identify and eliminate what’s holding you back. Break down any barriers that you may have, become a more effective trader and improve your results overnight. How to master time management and learn simple steps to make time your servant. How to create an environment that accelerates your success, while having more fun and enjoying the lifestyle that you want. You can start benefiting from our 15+ years of Wall Street trading floor experience for FREE! Simply complete the form below and gain instant access to our “Mental Edge Trading Insider” – a monthly publication giving you the keys to making more money and fully enjoying your business. Go ahead and get started now! Thanks to Nazy, over the past month I have been making significant improvements to my trading. In one instance, I was able to overcome analysis-paralysis and made 40% over two days. I really want to say thanks for everything that I have learned from You. I CANNOT BELIEVE HOW MUCH I HAVE IMPROVED! Thanks Nazy. My wife thanks you also. If you’d like to 'shortcut' the path to living a life of your dreams, I highly recommend talking to Nazy and developing your Mental Edge. In the past, it has been easy for me to get caught up in the challenges I experience every day and to not live my vision. Nazy has been able to create a systematic coaching program that has condensed and accelerated my growth to a completely new level and skyrocketed my income!!! From one insider to another… No one knows it better, or does it better, than Nazy Massoud. Copyright © 2003 - 2017 Mental Edge Trading Inc. All rights reserved.